Maureen Sullivan, Deputy Assistant Secretary of Defense for Environment. Would she purposely deceive the American people or is she clueless? My two U.S. Senators from Maryland, Chris Van Hollen and Ben Cardin, failed to subject Maureen Sullivan, Assistant Secretary of Defense for Environment, to serious questioning during this important hearing on the military’s response to ground water contamination. This is how I would have responded to Ms. Sullivan’s statements as a U.S. Senator. I’d start out extremely tough and tighten the noose. People are dying because of the Pentagon’s disregard for the environment and human health. The psychology of the Pentagon’s defense of murder by contamination is laid out here. Maureen Sullivan, DoD: These substances are ubiquitous in many industrial and consumer products because they increase a product’s resistance to heat, stains, water, and grease. As such, they are not uniquely attributable to Department of Defense (DoD) activities. Sen. Elder: The Defense Department you represent is poisoning people who live adjacent to military bases around the world. I consider you an accessory to murder. The fact that the DoD is associated with many corporate co-defendants makes its actions no less criminal. 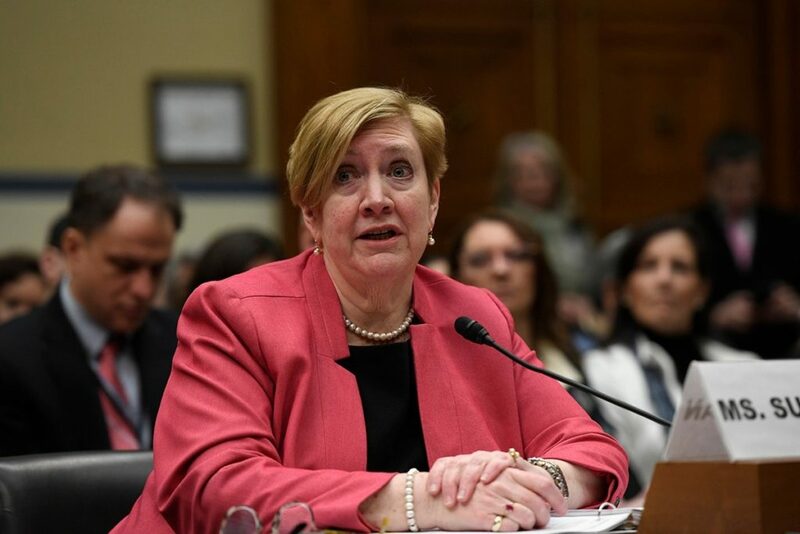 Maureen Sullivan, DoD: The Interstate Technology and Regulatory Council (ITRC) determined three to six percent of the perfluoro-octanyl chemicals produced were used as firefighting foam. Sen. Elder: Seriously? You’re citing ITRC analysis from 19 years ago that relies on research performed by 3M, a company that has poisoned millions with these compounds? That’s the best you can do? Maureen Sullivan, DoD: DoD’s limited use of PFAS started in the 1970s with the introduction of AFFF for aircraft fuel fire-fighting purposes. Sen. Elder: Ms. Sullivan, you’re leaving an important piece out here. The Navy realized the inherent danger of the chemicals in 1974 and understood 3M was not being truthful about the carcinogens. See the report by the Naval Research Laboratory in 1974. 3M knew the stuff was poisonous and so did the DOD. Maureen Sullivan, DoD: AFFF is mission-critical because it quickly extinguishes petroleum-based fires, which is why the Federal Aviation Administration also adopted its use at airports nationally. 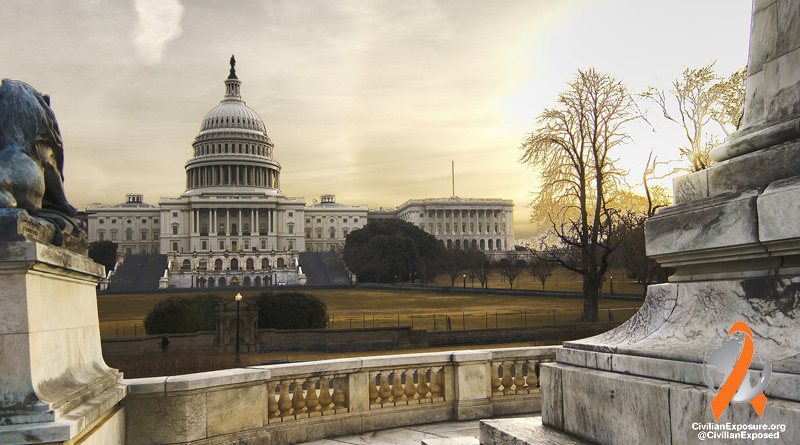 In October, Congress finally passed legislation that will at least give commercial airports the option to switch to firefighting foams that don’t include PFAS. Many localities were concerned about the contamination they were spreading to communities close to runways and chemical burn pits. This was a step in the right direction in the absence of a properly functioning EPA. The EPA looks the other way while the DOD sickens the nation. Maureen Sullivan, DoD: On May 19, 2016, the EPA issued Safe Drinking Water Act (SDWA) lifetime health advisories (LHA) recommending individual or combined levels of PFOS and PFOA concentrations in drinking water be below 70 parts per trillion. While the LHA is non-regulatory guidance under the SDWA and not a required or enforceable drinking water standard, DoD began proactively taking action to address drinking water impacted by DoD releases. Sen. Elder: The idea that the DoD has been proactive in taking actions to address drinking water impacted by releases of PFAS is preposterous.The first step in addressing this epidemic is to make test results public. You are engaged in a coverup over contaminated groundwater and drinking water in communities across the country and around the world. You’ve tested thousands of individual wells across the country for PFAS but you’re not making the results public! The DoD has stated its intention is to keep the results private. We demand to know who you’re poisoning and where. Several experts say DoD investigations of drinking water have been flawed because you tested water drawn from much deeper wells that those of adjacent property owners. The Senate demands you provide the specifics of your testing regime. Harvard scientist Elsie Southerland says your reporting limit is too high for this class of chemicals. This leading expert says your tests are not sensitive enough to detect potentially harmful amounts of the poisons in the water. In a lawsuit against the Air Force filed in March, 2019, New Mexico claimed the DoD isn’t doing enough to contain or clean up dangerous chemicals that have seeped into the groundwater below Cannon and Holloman Air Force Bases. The DoD’s Director of Preventive Medicine for the Office of Health Affairs Army Col. Andrew Wiesen, says the DoD bears no responsibility for the contamination. He recently told the Military Times the contamination is the responsibility of the EPA. “We don’t do the primary research in this area,” he said. “The EPA is responsible for that,” “DoD has not independently looked at the compounds and does not have “additional research into this, about the health effects of PFOS/PFOA, at least as far as I know.” Meanwhile, the Air Force says it won’t reimburse three Colorado communities for the money spent responding to water contamination caused by toxic firefighting foam used at Peterson Air Force Base. You’re being deceitful, Ms. Sullivan. You’re an accessory to murder. Maureen Sullivan, DoD: The Department addresses on-base and off-base migration of its PFOS and PFOA releases to protect human health and appropriately spend taxpayer dollars. Our first step is to identify the source of a known or suspected release. The Military Departments identified installations where DoD stored or used AFFF containing PFOS or PFOA and suspects there was a release. Your deception is effective. My constituents are largely unaware of the issue. Sen. Elder: You speak of the inevitability of breaking the exposure pathway of the carcinogens coming from your bases around the world. PFAS are known as the “forever chemicals” because they never break down in nature. Bases that were closed more than 25 years ago are still contaminating the soil, surface water, and groundwater. For instance, you have not stopped the exposure pathway to adjoining communities at England Air Force Base in Alexandria, Louisiana which was closed in 1992. Groundwater was recently found to contain 10,900,000 ppt of PFAS there. I saw nearby residents with wells living close to the base when I toured the area in February. Harvard scientists say 1 ppt of PFAS in water is potentially harmful. The DoD has not stopped the exposure pathway at Wurtsmuth Air Force Base in Michigan which closed in 1993. State agencies in Michigan have issued a ‘Do Not Eat’ advisory for deer in Oscoda Township near the closed base. The state recently tested deer tissue and found it to be unsafe for human consumption. Maureen Sullivan, DoD: These known or suspected PFOS and PFOA release areas are in various stages of assessment, investigation, and cleanup. Sen. Elder: Could you provide Congress with a detailed report of the cleanup of these “release areas”? Maureen Sullivan, DoD: Although the EPA LHA level is only guidance under the SDWA and is not an enforceable drinking water standard, DoD considers the EPA’s LHA toxicity information when assessing risk to human health under CERCLA. Sen. Elder: Outrageous! You make it sound like you are to be commended, but this is an extraordinarily deceptive statement, Ms. Sullivan. It is my view that the DoD is hiding behind the EPA’s dereliction of its mission. While the EPA looks the other way, the DoD continues to poison humanity with the release of PFAS from its bases. In the absence of federal enforcement, individual states have been compelled to establish mandatory LHA’s for PFAS at a fraction of the current EPA LHA advisory of 70 ppt. Maureen Sullivan, DoD: There is currently no fluorine-free formulation of the foam commercially available that meets the critical Military Specification (MILSPEC) requirement to suppress aircraft fires effectively, although DOD is testing alternative formulations. DoD must maintain the capability to fight fires to protect the men and women serving in the military and the communities surrounding their installations. Sen. Elder: You’re citing MILSPEC requirements like they were ordained from above. Meanwhile, my colleagues are silent. You must immediately change the MILSPEC requirement. You are endangering human life! A move to fluorine-free synthetic foam would save life and lighten the impact on the environment. Are you suggesting that the Senate acted irresponsibly when we recently passed legislation allowing the FAA to give commercial airports the option to switch to firefighting foams that don’t include PFAS? Maureen Sullivan, you are an angel of death. Mercy, mercy me. For 20 years Pat Elder has worked nationally to counter the abusive practices of military recruiters in the nation’s high schools. Pat is the author of Military Recruiting in the United States and he is the Director of the National Coalition to Protect Student Privacy. Pat has helped to pass laws and policies restricting military recruitment in schools. Pat’s articles have appeared in Truth Out, Common Dreams, Alternet, L.A. Progressive, Sojourner’s Magazine, and U.S. Catholic Magazine. Elder’s work has also been covered by NPR, USA Today, The Washington Post, Aljazeera, and Education Week. In 2017, Mr. Elder shifted his focus from military recruitment to military contamination. Pat says the change represents a 4th quarter shift in strategy.